This podcast brings you conversations and coaching about getting the balance in business whether you're a business leader or entrepreneur. 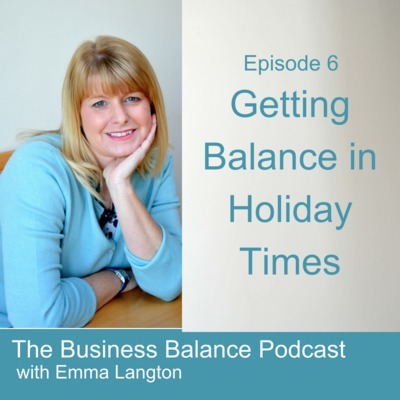 We'll be talking about mindset, strategy, boundaries, balance and a whole lot more so you can create a brilliant business life and still enjoy time off. How Does Stress Affect Your Health? Stress comes in all shapes and sizes. Stress can be defined as any type of change that causes physical, emotional or psychological strain. The term ‘stress’ refers to the response you have when facing circumstances that force you to act, change, or adjust in some way to maintain your footing, or to keep things balanced. In small doses, these factors increase your strength and stamina, speed your reaction time, and enhance your focus. This is where some people will say stress is good for you! So, does stress affect your health? Stress is a huge contributor to people needing time off work. Surveys suggest that over 10 million people in the UK are taking time off due to stress and stress related illness. Mental health issues, including stress and anxiety are the reason for one in five visits to a GP. What’s Going On? When you are stressed your adrenal glands are forced to produce more cortisol and adrenaline (the main stress hormones). These hormones prepare the body for emergency action. · Heart pounding or beating faster, · Breathing quickens or become more shallow · Muscles tighten, · Arms or legs shake · Blood pressure rises · Your senses become sharper All of these are automatic reactions coming from an area of the brain called the amygdala. That’s like your internal fire alarm. This stress response has existed in humans since we were cavemen. Life was much simpler then and life and death situations really meant life and death! Now, they don’t. However, your brain has not figured that out! Here’s the thing. When your internal fire alarm is going off, it also switches off your thinking brain. So you can’t think clearly or logically!!! Is it Affecting Your Health? Stress that continues over long periods of time can contribute to serious health problems. Stress can affect you in many ways. · Weakened Immune System and catching colds more easily · Sleep Issues · Low Energy, feeling tired all the time · Feeling Overwhelmed · Memory Problems / Poor Time Management · Anger Issues · Being Negative · Aches and pains for seemingly no particular reason – tight shoulders, clenched jaw, stiff back · Spots! Cortisol clogs your pores · Thinning hair Often we only notice the emotional effects of stress, however there are many physical impacts too. So it’s important we do something about our responses or even our lifestyles to counter-balance this. Causes of Stress The hormone responses are there for times when you are being chased by a tiger or a bear, not for any of these listed blow! There are many events in life that can cause stress. · Wrong or Difficult Job · Redundancy or Unemployment Worries · Long Hours · Conflict with Colleagues · School or College Pressure · Friendship Difficulties · Test Anxieties · Financial Worries · Negative Relationships · Loneliness · Parenting Challenges · Unhealthy habits The people that I see regularly, come to me for coaching and other help because they still don’t want to go to their GP AND they don’t want to take time off or alert their employer that they are feeling under pressure. If you think stress is wrecking your body, then make it a point to get things under control. Remove yourself from toxic situations and plan some stress-reducing activities. Get in touch to talk about how I can help you and your workforce to get stress under control. How do we equip ourselves and the people around us to deal with difficult situations? 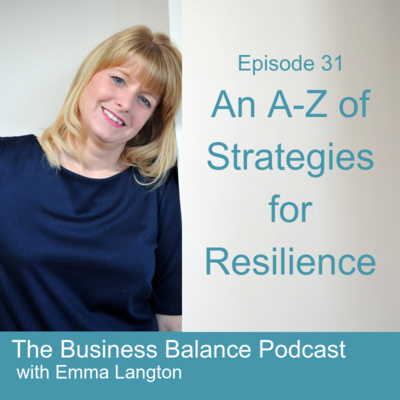 In this final episode of the Resilience month on the podcast I talk to Nicola Richardson who is a Business and People Mentor. 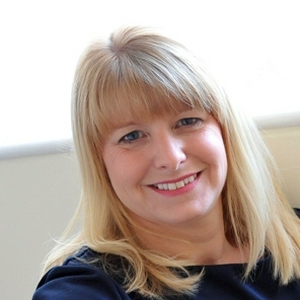 She works with businesses to get the best out of people, process and performance. There’s quite a lot of good chat and sharing of information in the podcast but also a couple of key things I talk on the podcast this week that I think are important messages. Nicola tells us what happened to her when she tried to power through and keep going after a significant life event. She shares the detrimental effect it had on her health and also why that made her change things in her life completely. We also talk about the healing power of crying! Often other people struggle to see others crying. Often too, as children we have been told “don’t cry” and so we learn to stem the flow and hold back the tears. Nicola is running a workshop called Thriving not Surviving which will be helping people understand and identify what helps them and what is difficult for them. Nicola shares what hobby she has that helps her to zone our from the busy day. She also says she still uses a great tip that I gave her regarding social media, where I advised switching off all notification so there are no distractions and that has helped her a lot too to filter information and not feel overloaded. We also talk about the need to a good level of emotional intelligence and self awareness is needed. It’s really helpful for us to build our resilience and when we are aware of our feelings and emotions, then we can do something about them, in an appropriate way rather than stuffing them down, ignoring them or having them overflow in tears or anger at times when we really don’t want to have them on show. You can get in touch with Nicola via her website at https://thepeoplementor.co.uk/ if you're interested in the in-person or online workshops that she provides. The first one is on 26th April 2019 in Lincolnshire. Have a listen and if this is useful, share with someone you think might help. If you want more information on working with me or you have a question for me, then get in touch on my website. Resilience needs areas to be strong and calm. This provides the foundations for you to live a balanced life. When your mind and body are resilient, strong and stable, you will be strong and stable too. It forms the foundations of a powerful basis for everything you do in life. Life is full of challenges and we cannot possibly avoid everything. Resilience is about that ability to deal with the rough and the smooth and be able to swerve the curve balls and get back on track. When life knocks you down, you need that bounce-back-ability to be able to get up again. That’s why we need to ensure we have lots of tools and resources in our lifestyle generally. So if one area is weak, under pressure or overloaded then things begin to fall apart. You need all areas of you to be equally strong. So think about where you have gaps or think about what situations mean that you have wobbles. Fitting things into your everyday life is the best way. You can’t always take a holiday or book a spa day – and anyway, if you’re living or working in a place of pressure you won’t have the time. You’ve probably got some other things you’d like to spend your money too! Relying on things like spa days, holidays or even going to gym (whilst it’s great to do, you need space and time for this). Getting the balance to boost your resilience needs to be little everyday things that you can. So I talk about a (kind of) A-Z to give you ideas. There’ll be a whole load more. I’d love to know what you do so drop me an email or get in touch from my website. If you’ve really no idea what to do, or what will help, then also get in touch, lets book a call and we can talk about how my coaching can help you know exactly what works for you, how to manage your resilience, so you can be confident in dealing with life’s challenges. Good resilience is your ability to kind of cope and to rise to those challenges. 2:13 Resilience relies on different skills and resources. Some might be about your physical health, mental health or relationships, thinking skills. So, if you're a manager or leader, or you're setting an example somewhere, then that's important to manage your resilience. When we recognise and understand our own emotions, we can do the same with others. That also means we can impact ourselves and others positively and negatively. It's not good floating around like a swan and pretending everything is fine. If you spend time trying to look calm and glide gracefully whilst feeling like you are paddling madly underneath. Outwardly you are managing to look composed, keep up with that endless pressure but inside you’re absolutely shattered, overwhelmed and feeling a bit ill or like you’re not coping. Recognise the Feelings 6.40m Firstly, you need to recognise your feelings and allow yourself to feel them (instead of ignoring them or distracting yourself). If things are rough you might need to set aside time to do this. 7.25m Listen in when I talk about how I allowed myself to really feel the big feelings. Let Go 8.30m You might need to have a good cry! I explain about the healing aspects of crying and why it's good for you. 10.0m Another good way to release and let go is to visualise letting go of the feelings. Imagine you are gathering up all the thoughts and feelings related to the negativity and in your mind picture some way of getting rid of them. I explain some options on the podcast. Revitalise 12.30m Look at what you can do to revitalise yourself. It might be spending time with your partner, your kids, your friends, making connections with other people. We need conversations and interactions we need to laugh. We need to find joy somewhere, even if it feels like it's pretty tricky to do. Think about what will boost your feel good chemicals to fill up that emotional bucket. Leave Things Seriously, look at what you can leave for a while. Re-prioritise and give yourself some time and space. It doesn't have to be for ever! Time Out 15.0m I run a bath, some people do Netflix, some people run, exercise. They all create a space in your mind and body. This allows the negative stuff to drain away, out of your bucket. Leaving space for good stuff. Sleep Prioritise the important needs. Instead of staying up late trying to get everything done. Get your sleep. We all find it hard to function when we are tired. Never sacrifice your sleep. Filter When you're overloaded or feeling pressure the last thing you need is everyone else's stuff! Filter it out. Shut down social media. Remember too that people only talk about really good or really bad things. They’re not going to show or talk about the fact that they are not coping, so filter information and keep reality in mind. Don't let people drain you with their woes. Also filter things that annoy or drain you. I share a good example of mine in the podcast. Think about the kind of good stuff that is going to fill your emotional bucket of resilience with good stuff. Next week, I’m going to talking about whole list of things, so remember to come back to get more ideas in case you need them. If this is really useful to you please share it with your friends, and please do go over to iTunes and leave a review I'd really love it if you did that. You can contact me www.emmalangton.com/contact for help with your resilience. Resilience is a theme for this month and today we are looking at what Emotional Resilience is. In my newsletter I share some information about me that will explain why I've chosen to focus on resilience. You can sign up HERE. I want to share with you what I've done to keep going when challenges come our way or we have tough times. How do we keep going and be resilient? What is Emotional Resilience? It's about our ability to deal with situations in life, how easily we can bounce back. Clients come to me when they've "had it up to here" or "can't take any more". That means your emotional levels are full up. I talk about an emotional bucket and how stress, anxiety, pressure can build up. They can come from self-doubt, shame, embarrassment too. It might be about the way we are treated or how we talk to ourselves. It can affect our ability to cope. I explain how this can affect me personally on the podcast. This bucket of negativity can sometimes fill up quickly or take quite a while. The speed at which your bucket fills up, is not the issue, my concern is how full it is, and what we can do about it. We need to be able to balance our emotions with both positive and negative feelings and circumstances. How Do We Know if Our Emotional Bucket is Full? It's much more than overwhelm. When your bucket is full, we feel it all the time. Or, it can take a tiny thing to tip us over the edge. Anger bursts out. Tears overflow. If you often feel worried or nervous, frustrated, sad, irritable, angry, scared, upset, overwhelmed, inadequate or even wanting to escape, then it’s likely that your emotional bucket is overflowing. What's a Good Balance? If your bucket is too empty, then that’s not going to be great either. If this is the case then you might feel low, fed up, tired all the time, bored, negative, nervous, anxious or even depressed. An empty bucket can also drain those around you too. (sorry for all the doom and gloom - things can get better - honest!!) We need our buckets to be somewhere in the middle, just right. That way we can be happier, more comfortable about ourselves, staff, colleagues, clients. We can think more clearly, make better decisions and generally enjoy life more. What Helps to Maintain Emotional Resilience? We need to make sure we've got enough good things going on in our lives to be able have the balance. To have positive times and situations, opportunities that are fun and good for us. Also to have tools in our toolkit that we can use to reset the balance of those emotions. 11.0m I talk about one particular thing that really makes me smile! Spend some time over the course of a week, noticing what lifts you up, brightens your day. What small things are in your life that help you feel good. What drags you down and adds to negativity? Notice those. Then come back over the next few weeks and listen to future episodes where I dive deeper and give more information on resilience and tools you can use to develop your emotional resilience. If you want to talk about working with me to help this, then book a call or look at how to work with me. If you'd like some live coaching or to ask a question that you'd like to be mentioned on the blog or podcast, drop me a question HERE. What if coaching doesn’t work? It’s important for my clients to know that the coaching process works. But sometimes, coaching doesn’t work! What can you do to make sure coaching works ? I’ve had some great coaching and I’ve one that was awful. Here's what you can do to ensure coaching works for you. 1. The Wrong Type Of Coach You need to consider WHAT you want the coaching for. WHY you think you need it and WHERE you want it take you. This will narrow things down for you. Then investigate different coaches and how they work. Some teach you their model. Others look at you, your business, your struggles, your goals and help you figure out what will work for you (that’s me)! If someone recommends a coach to you, make sure it’s going to meets your needs. 2. No Rapport Between Client And Coach The client/coach relationship is crucial. Some clients thrive on a gentle, nurturing approach, whereas others prefer direct straight talking. Then there’s a balance of all sorts in between (I’d say I’m honest and straightforward with support and kindness thrown in). In order to ensure there is rapport and the possibility of a good working relationship, it’s always a good idea to meet or talk with your executive coach before you jump in. 3. A Lack Of Trust You’ve got to be able to trust your coach. You’re going to be talking about your feelings and your struggles. Whilst it won’t all be focussing on the negatives, you’ll get the best from coaching when you’re honest and possibly a bit vulnerable, so you need to feel safe doing that and trust that your coach can help you. If you’re part of a coaching programme through your organisation, make sure you know the terms: by checking the confidentiality terms you can feel safe to disclose all your thoughts, issues and feelings. I usually work independently with executives and entrepreneurs, and we do sign a working agreement which sets out confidentiality clearly and professionally. 4. Boundaries And Expectations Are Not Clear Clear boundaries are important. Ensure your coach will set out what they expect, when and how to contact them, and ensure they’ll do what they say they’ll do. Clear boundaries help you to feel safe so that you know what’s OK and what’s not in the coaching relationship. I always plan out all sessions in the diary. There is flexibility to change them, but there’s a cancellation policy too. Also get clear on your goals. It’s hard to make changes if you don’t know what you want to change, or what that outcome will look like. 5. Coaching Gets Stuck In The Past Coaching is about moving you forward to where you want to be, not dwelling on what you ‘should’ have done. That comes through looking to the future and action. Sometimes we need to go back and work on getting you some strong foundations so you can go forward stronger and stay successful in that progress. 6. When There’s No Legacy To The Coaching Work Whether you’re with a coach for an hour, a day or three months, it’s really important that you can maintain the good progress you’ve made. There’s no point investing in coaching then letting old habits and patterns slip back in. So it’s worth spending time working with your coach to identify how to apply the changes to your life for good. With my experience in psychology and neuroscience I help you make changes easily without having extra duties on their to-do list! That makes sure that coaching does work. Contact me HERE or BOOK in my diary and lets talk. What’s your most valuable asset? This might be a question that raises lots of answers and you might be totally against what I’m saying. If so, that’s fine. We’re all entitled to our opinions, but here’s mine. Aside from your customers - because let’s face it - if you don’t have customers, you don’t have a business or a job. After that, what is your most valuable asset? Your business? Your home? Your intellectual property? Your network? All of those are valuable, but (bonus points to you if you saw this one coming!) YOU are your most valuable asset. It doesn’t matter whether you’re a leader in your own business or someone else’s, what makes you stand out is you. And it’s not really about your knowledge and expertise either. Of course those things are important, but knowledge can be learned. What’s harder to cultivate is a healthy mindset. A healthy attitude to yourself, your life and your work. Mindset might sound fluffy. As though it’s about patting yourself on the back and thinking happy thoughts so you have a positive day. But it’s so much more than that. Your mindset is at the root of every decision you make. Whether you’re operating from a place of fear or growth is critical. With a closed or a fearful mindset you are more likely to: Miss seeing opportunities Hold yourself back Take on too much, rather than delegate Let other people set the agenda Delay decision making (or the opposite – be trigger happy!) Feel overwhelmed or stressed. You do still need to put effort in but when you have a strong belief in yourself then it can make all the difference! Can changing something internally really change how you experience life in the real world? Can it help you feel better as well as be more productive in life and business? Yes, it can. But it’s not as easy as slapping a smile on your face and saying a positive affirmation each morning. Real mindset change involves digging inside to understand where your thoughts and beliefs come from. It’s about bringing to light the buried stories we tell ourselves about why life is hard, or why we’re not equipped to deal with it, or why we can’t get that promotion. And it’s then about rewriting the script so we’re working with ourselves, not against. The latest neuroscience has shown that our brains are constantly re-wiring. Even through adulthood. I’m not saying that this process of re-wiring is easy … but it can be done. The first step is recognising that you need to re-train. Sometimes you might need help to recognise what’s going on with you and what can be done. When we are deep in the middle of something, we can’t see how the land lies. We can’t see ourselves fully without someone else holding up a mirror and inviting us to look. That’s where a coach will help you understand what’s really going on in your head, get clear about what you want, and your way forward. Coaching helps you to unlock the potential that’s already inside you. So – given that you’re your own greatest asset, when’s the last time you invested in yourself? And did you feel the benefit? I’d love to know! And if the time is right for you to embark on executive coaching, get in touch and we can explore the right option for you. See more detail about how to work with me here. For Valentines day, to share a bit of what I LOVE to do, I’ve got a very special offer for you. I've set aside 10 spaces for a 1 hour, 1:1 intensive with me. I normally only run intensives for at least 2 hours and they’re investment of £329. But because it's my birthday, I'm offering a 1 HOUR SESSION FOR ONLY £125! You can book your session here - when 10 are gone, they’re gone. Any questions get in touch. This week on the podcast I'm talking about ways you can love your work more. Let’s face it we spend a bit part of our lives at work and it's always so much easier when we love what we do. There can be many reasons why we might not love what we do. We might have fallen out of love with it for a variety of reasons. Here's what we can do: 1. Plan and Schedule When you schedule your day or week you feel like you’re in control. You can see where you have gaps, or busy times and make adjustments. Instead of having a massive to-do list creating overwhelm, stress or nagging feelings, your brain can rest easy knowing that time is allocated to do that job. Each day do the biggest or most important things first. That way you use all your fresh brain power when you need it most. 2. Stop Multitasking Concentrate on one thing and do it well. When we switch from one thing to another, or get distracted with notifications and emails, the reality we’re just doing really fast switching. It’s not the most efficient way to work and we end up tired and fed up and feeling unproductive - or that we’re working harder to get less done. That’s just demoralising! 3. Boundaries You might need to change your mindset or perspective about boundaries in order to say goodbye to your desk, laptop or email. Then you can be actively engaged in your social and leisure time. You might be saying that you can’t afford to do this. Well, apparently more people than ever would consider a salary cut in order to improve their quality of life. Take action to get that better balance. 4. Be Sociable When we spend all our time working, we have less positive interactions and less pleasant experiences. That means less positive feel-good chemicals. Oxytocin - often called the love hormone, is released when we interact with touch, hugs and love. When oxytocin is released, it reduces stress, anxiety, promotes connection and feelings of trust, which all aid relaxation! So you might feel too tired to be social or interact with friends or loved ones, but science says it’s good for you! 5. Get Feedback Take step back and seeing yourself through the eyes of someone else. Or gather information about what people value from you, and what they don’t. That might be opening up to some feedback you might not want to receive, so you need to be brave here. However you might be surprised at the feedback you receive. And a bit of customer love is always helpful to boost your morale. 6. Change Your Self Talk See more about speaking to yourself the way you would a friend. 7. List Your Accomplishments Make a love book. Gather things that show you're good at what you do. Start with certificates, then feedback, photos, letters of achievement, the congrats letters etc. Feeling good about yourself helps you to love yourself and your work more. Often there are different stories we tell ourselves that can keep us stuck and stop us moving forward or make things difficult for us. When we tell ourselves stories it can be to rationalise or justify why we've done things we done (or not done). We might used past experiences and learning but there's nearly always an emotional response to that story. - "I'm not cut out for leadership" - "It wasn't meant to be" - "I don't have time" Listen in at 3.0m about the story I was telling myself about how my business was a success. In a way it was, but the reality was I could have done so much better and worked smarter. 6.27m Often we do a comparison with other people and tell ourselves stories about how we're just not enough in some way. Outward appearance isn't everything, but we can tell ourselves the stories abut why we're not matching up to others around us. The biggest thing behind this is our mindset. The very first thing we need to do is learn what is going with our mindset. We need to talk to ourselves as we would a friend, or even a small child, to be kind to ourselves, to change the language we use. If you don't support you, who will? Sometimes we need that support externally too. The fastest way to change our mindset, is to recognise the stories we tell ourselves. When you firmly believe in yourself and recognise what are stories and excuses you can increase your changes of success. When you value yourself you add value to all areas of your life in general. 10.0m Sometimes we grow up with a belief that no-one is there for help or support. We grow up with a belief that we need to be self sufficient and cannot ask for help. We must listen to those stories so that we can begin to change them. Our stories give us a sense of who we are. So if we are continually telling ourself we are "no good" about something, then it will hold you back. Sometimes we need to learn something different, or even let go of old stories that we've been telling ourselves. Think about some of those stories and see what you can do to begin to change that. When you listen to the stories, you're half way there to identifying what you need to do to change. 12.55m Listen in about the funny but different ways we can view situations in our life through the ages. Sometimes those stories change over time, if that's the case, make sure the stories are beneficial and factual for you. But sometimes they do not serve us well. So when you dive deep underneath the cause or reason, you can make those changes in your mindset and be really honest with yourself. Make those changes. Re-write your story. Let me know if you've been telling yourself stories. Are they keeping you small or restricting you? You can alway get in touch me with or book a call so that I can help you identify what your stories area. One of the reviews I got recently said I had ninja questioning skills! Sign up to my newsletter and get all my hints and tips straight to your inbox. We can’t be strong all the time. We used to live in tribes remember! Those tribes and other people were there to support, help and guide us. The modern world is about being strong, being able to do all things and not showing a “weakness”. There’s a lot of British phrases that pre-programme us to ensure that we don’t share that we need help. "Stiff upper lip" "Keep your chin up" This create a deep learning and mindset that asking for help is a sign of weakness. This learned belief is created at a young age. It might be that we’ve been told to “speak when we’re spoken to” or “be a good boy” so we learn not to ask for what we need and not to cause any bother. The key is to be able to change our minds about asking for help. There are so many people who have come to me asking for help. Listen in to hear about 3 examples and what I did to help. The Chief Exec who was putting a ton of extra time just to feel successful, even though there was lots of external evidence to show he was doing well. He said to me “it’s a sign of weakness isn’t it” We worked on his belief and mindset so that he could delegate with ease, manage the expectations of himself and his team and still be able to spend time with his family and enjoy it. The top city Lawyer who was embarrassed because she was getting emotional at work and felt like it looked like she couldn’t cope. She was worried what people would think. I helped her with ways to deal with the overload, educated her on being able to identify when her stress levels were high so she could use tools that work for her and get that balance in her life, without compromising her professional approach. The business owner who thought being stressed all the time was normal and that if he was in control of everything it would help. 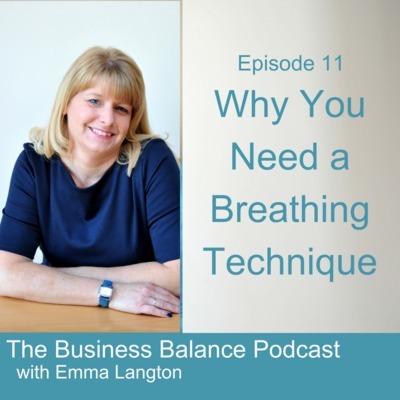 Truth was that when we reduced his stressed levels, identified the areas that really caused him the stress he felt so much better and even made some changes in his business direction to support this new way of looking at things. Even me. Listen in when I explain what I've to ask for help. All of us need help at some point or other. Knowing when to ask for help is the first step. Reaching out the right kind of people who will be there for you and who get it is important too. Think about someone who has asked you for help. What did you think of them? I’m guessing your first response wasn’t “oh they’re weak” or “ooh they can’t cope”. That’s probably one of the main reasons we don’t ask for help. We worry about judgement. We’re frightened about what people will think. Fear is a big thing that stops us moving forward. Stops us being able to perform at our best. When we get past that, or reach out for help, then we are taking that first step to the next level. If you're ready to ask for help then we can book a call and discuss your situation. I'm talking today about January Blues. The 3rd Monday in January is known as Blue Monday. Apparently this is because this is the time that credit card bills have come in, we realise how much we’ve spent on Christmas. The weather is cold and wet and dark and then it’s not just the day that is doom and gloom, it’s often our mood too. So how you can get through the blue and gloomy days. Have something to Look Forward To. It’s often a time when people look at booking holidays or even moving house! Creating a feeling of anticipation with what we are looking forward to means we feel excited and then naturally release endorphins, the feel good chemical. Be More Active. I know the gyms are full of New Year resolution people but you don’t have to do that. Exercise definitely boosts your mood so even just getting out for a walk at lunchtime when there’s more daylight can be helpful. Again it releases the feel good chemicals. Meet Friends. Although we might feel like we want to stay in and hibernate we need social interaction. We are meant to be around people. You don’t necessarily need a big party or group, but meeting friends, talking and laughing is a create mood enhancer. Look After Yourself - inside and out. You’ve probably just spend around a month eating rubbish, cheese and chocolate – I know I have! Reality is that those kinds of diets leave us feeling sluggish and that doesn’t help our mood either. Some say that the gut is important as the brain on our mood. So get yourself back to nourishing yourself from the inside and cut out the chocolate, sugars and rubbish. It doesn’t have to be salad (it’s far too cold for that) it doesn’t have to be restrictive either (otherwise you’ll just crave it) but it can still be food that is good for you. Look for Positives I’m beginning to notice a little bit of lightness in the day. My daughter comes home from school around 4pm most days and I’m beginning to see a bit of brightness at that time. I can already how the days are getting longer. Even if it’s just a little. It all helps to give a bit of positivity. If you’ve listened for a while, you’ll know that I’m big on looking at things that raise your positivity. Find small things in your day that you can be pleased about. They don’t have to be super fantastic, just little things that brighten or give you something to be thankful for. Write them down on a regular basis too so that you can see the positivity increasing, even if feels like a rubbish day, there’s evidence to remind you that it’s not all bad. Smile When I walk Charlie, even if it’s cold and wet and I’m there with my hat and gloves and wet gear, I still make eye contact, smile at people and say hello. It’s surprising how one smile can go a long way to make both you and the other person feel better. If you're still struggling to feel positive then get in touch and book a call then we can talk about how I can help you. If you struggle with confidence or don’t always feels confident then this episode will be helpful for you. Your self-confidence (or lack of it) isn’t written in stone. You can learn, increase, practice self-confidence such like any other skill. Once you increase your self-confidence your life will seem so much better and easier. We look at What Confidence Is and the steps we need to take to increase our self confidence. 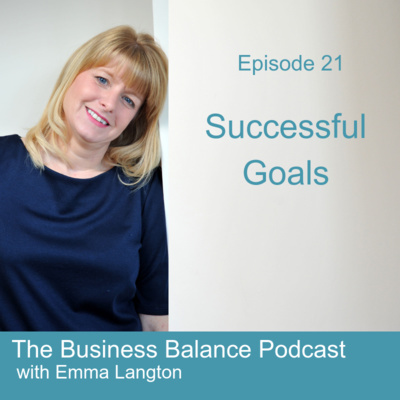 Emma talks through steps of - Recognise - Get Started - Practice - Self Talk - Support - Reflect - Success There's a great story about how Emma supported her daughter with her confidence building and recognition that not everything can be scripted in life. We need to get comfortable having a go. 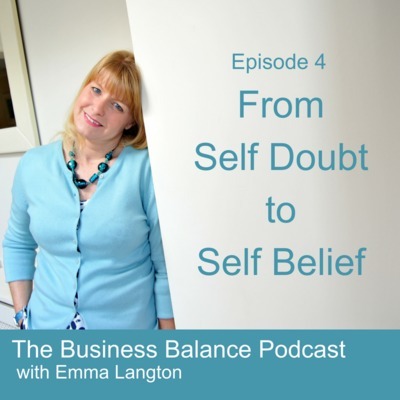 You can work with Emma on your confidence at: at www.emmalangton.com/workwithme or get your free self doubt to self belief guide at http://bit.ly/SelfDoubtPodGuide The key to maintaining great self-confidence is to have all these ways that we can use to bounce back. What do we do when a Fear of Rejection stops us from moving forward and achieving? When we have a fear of rejection it can prevent us applying for jobs, asking for a pay-rise, sharing information about our work, promoting ourselves, giving an opinion …. the list is endless. 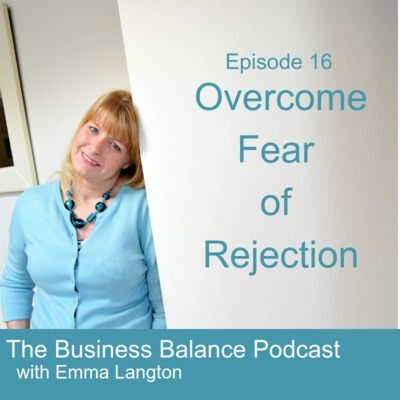 Book a call with Emma to discuss how this can help you at at bit.ly/30minsappt Listen as Emma explains why we fear rejection and covers ways of overcoming it with - Check out the root cause - Learn tools to keep emotions under control - It’s not personal - Keep perspective. - Improve your Resilience She shares how she overcame the fear she had too. Nowadays it’s very different way of surviving. So those no’s and rejections don’t have the power that our primitive brain think they have! Don’t let yourself get caught up in that fear of rejection. You can take action so that you no longer have to cope with the frustration of not getting where you want to be or not taking steps to get the outcomes you want. Emma shares details of a client's journey after burnout in his job. Listen to the difference in how he felt before and after coaching. You can book a call to discuss working with Emma at http://bit.ly/30minsappt Key factors for her client were: - always expected a negative reaction, - worried what people thought, - really pessimistic, - awake at night, - struggling to deal with people. He took a 5 month break from work and then got a new job. He knew he needed help and support to make the changes required so the same situation didn't happen again. 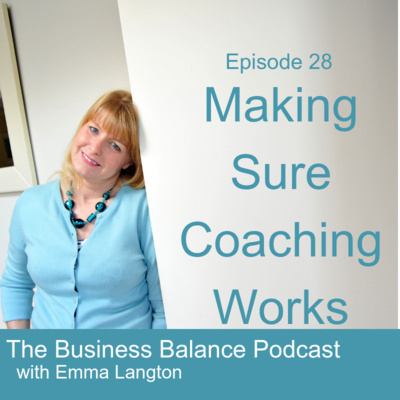 Emma talks through her coaching process and how it is planned out. The outcomes for her client were: - knowing what lights him up and restores his energy - having selections of tools & techniques - be able to communicate better - changing habits - no longer taking the easy options - positive feelings and interactions with others He said " I’m comfortable in my own skin. I now see my own value and I feel like I achieve every day"
Emma talks about her favourite subject of Boundaries. How you can create effective business boundaries in your work and life. It's not just a set a rules. Emma regularly hears from clients who •	feeling like they’re working all the time, •	needing to respond to people or emails quickly, or at ridiculous hours of day and night •	checking phone and emails All. The. Time. •	saying yes to things they don’t want to do •	feel like people are taking advantage Listen to find out what you need to do to get yours in place which includes Working on your mindset Getting clear on your priorities Confidently communicate your boundaries so you set expectation and create much less guilt, pressure and overwhelm. BBP3 Are You Listening to Your Negative Self Talk? Did you know that the way we talk to ourselves can have a massive impact on the way we think, feel and view ourselves? So many times Emma hears people with negative self talk. “I’m no good at …” “I can’t do ….” “I’m so silly” “I’m fat” “I don’t deserve ……” In this episode Emma explains what happens when we are negative about ourselves and how we can change that. Listen to Your Negative Self Talk Maybe you already know some of the things you say about yourself, or maybe you need to take a little time to actually listen to the words you use, the phrases you say and the way you talk to yourself and even about yourself. What do you hear? Negative phrases and comments can become embedded in your subconscious mind so that you repeat them without realising. Once you start listening to yourself you’ll be surprised at what you hear. Be Your Own Best Friend If you want to make improvements in your own self talk and improve the way you think and feel about yourself then you need to be your own best friend. Think about how you might guide and advise your best friend and then turn that phrasing, positivity and praise towards yourself. It might not be easy for you to hear – initially. It will get better and easier the more you do it. Be Kind Be kind to yourself and be kind to others around you too. Although we’re working on self talk, all talk is important. It’s much easier to have complete positive thoughts and language rather than kind words for yourself and forgetting to be positive and kind to others around you! If you see someone with great hair or gorgeous shoes, say so! If your child shows nice manners, say “hey nice manners”. You will feel good, but you know what? They will too and so it improves the attitude of everyone around you that you interact with. That in itself reduces the negativity. Complement Yourself We are rubbish at this. Particularly us with the good British stiff-upper -lip / don’t-show-our-feelings. When we don’t show our feelings to others, we don’t show them to ourselves. So, start to complement yourself. Do this regularly and see if you notice a difference in the way you feel about yourself. Talking more positively to ourselves will have a great impact on the way we view ourselves. You start to embed more positive comments and phrases in your subconscious mind, so they become more automatic and then progress and positivity gets easier and easier. So go on, start today, change the way you talk to yourself. You deserve it! You can get in touch with me, let me know how you get on with this or to book a call so we can talk about how to re-programme that negativity and get your feeling great about yourself. When things get too much in life, physically, mentally or emotionally it’s good to have somewhere to go to calm, recover, feel safe or to feel happy again. That’s why you need a Happy Place. Emma talks you through why you need a happy place and how to create your very own. It doesn't matter whether it's real or imaginary, when you've created yours you can take yourself there, in your mind, to rest, recover or just re-set our feelings and emotions. Creating Your Happy Place Think of somewhere that makes you feel happy, calm safe (or some other positive feeling). This place can be real or imaginary! It doesn’t have to be in your house or nearby. Take 5 minutes or so to sit somewhere comfortable. Think of a place where you are completely relaxed, feeling happy or safe or calm Imagine it vividly – colours, sounds, textures, temperature, smells – everything. Notice how you feel in this place. Are you happy, calm or relaxed. Notice where, in your body, you feel these happy or calm feelings. Give this place a name or a title. Regardless of where you are, whatever you are doing, practice thinking of or saying this name or title and notice those good feelings flowing around your mind and body. How Do We Use our Happy Place? When we have a place like this, real or imaginary, we can take ourselves there to rest, recover or just re-set our feelings and emotions. Notice with all your senses what you see hear, touch, smell, taste and even the temperature. This can change the sensations in our mind and body from whatever is unpleasant or negative to being more positive and comfortable. My place (because I love being warm) is in a sauna which is not readily accessible! However my mum’s place is in her sewing room, with her sewing machine. Making lovely quilts, bags, cushions is her favourite pastime. So where could yours be? If you struggle to think of somewhere look through holiday brochures or magazines for inspiration. Maybe you saw something in a film or a book? You can even make one up from a collection of ideas to create the best place ever! You can get in touch with me, let me know what your happy place is or to book a call so we can create one together. 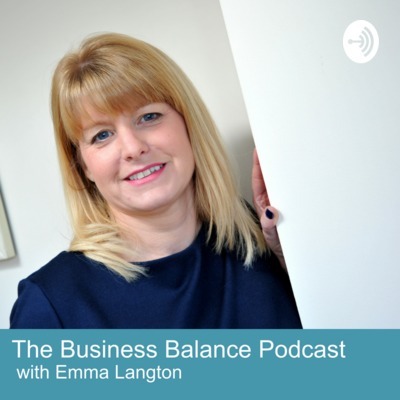 The episode to introduce the Business Balance podcast, explaining what you can expect in future episodes as well as a little background about your host Emma Langton.